I got an Asus Eee PC (4G 701 model) for Christmas this year and I absolutely love it. It’s lightweight, portable and works flawlessly for me as a mobile device. I could gush on and on about the Eee, but I’ll keep that brief. However, being a gadget-loving junkie that I am, I love coordinating accessories for my gadgets. 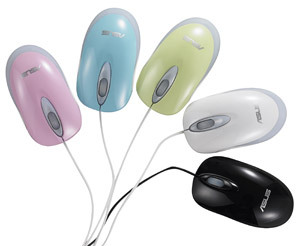 A compact and high dpi resolution optical mouse that is the perfect portable companion for convenient input. This pair of headphones comes designed with noise-isolation that maximizes sonic clarity. 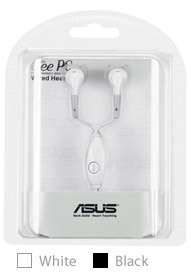 It also comes with 1.15m of cable length for extended movement and use, as well as 3 sizes of earbud gel tips for the most comfortable fit. 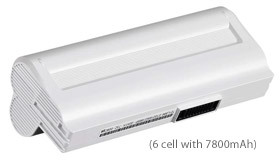 These extra batteries provide power for extended usage on-the-go. 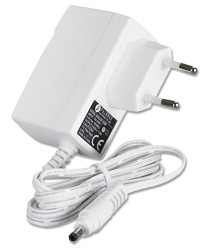 The handy power adapter provides various power code specifications for different countries. Great accessories for a great product! Now all they need to make is a line of messenger bags and purses with a built-in pocket for the Eee. Be still my gadget-loving heart!